Earlier this month it was CRT Week at r/Retrobattlestations. There are many CRTs in my vintage computer collection, but for this contest I focused on the one that has the sharpest display of any 15kHz RGB monitor I’ve ever seen, the 12-inch Atari SC1224 made by JVC. Aside from its sharpness and clarity I love the industrial design of the unit, and it’s part of one of my favorite systems, the Atari 520ST. Visit a gallery of all my r/Retrobattlestations entry photos. A complete list, with links, of the fun I've had with challenges in that subreddit over the years can be seen below. Good times! 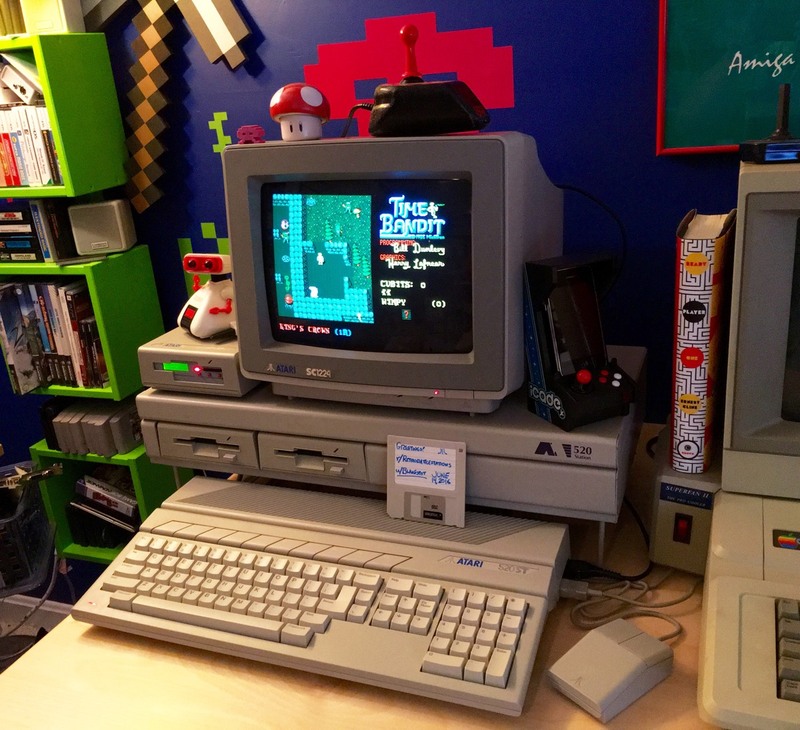 This entry was posted in Atari, r/Retrobattlestations. Bookmark the permalink.